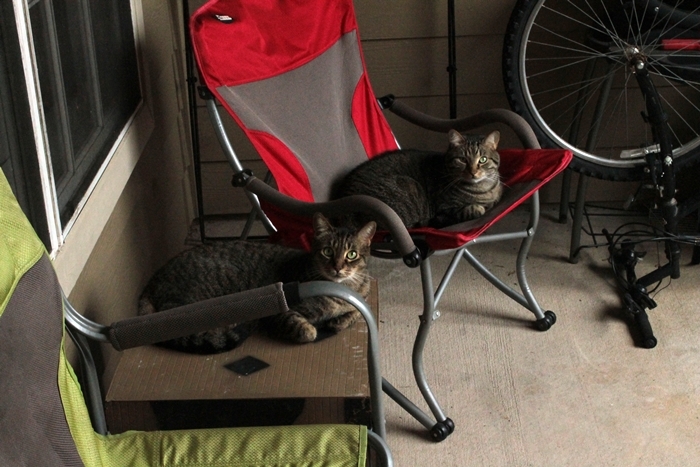 The boys had free reign of our apartment porch in Louisiana for two years. It was fenced in with gardening border to prevent them from escaping. 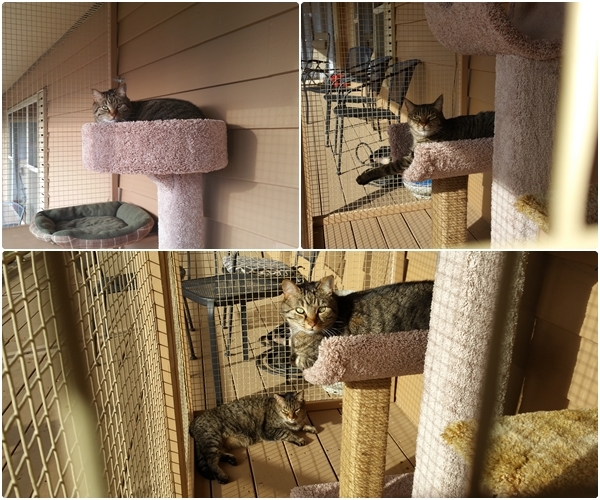 Since moving back to Washington, they have a much larger house to roam but no outdoor space. 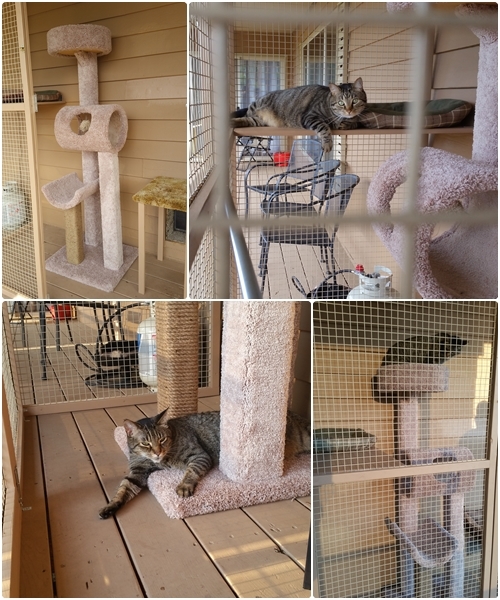 So we built a catio! 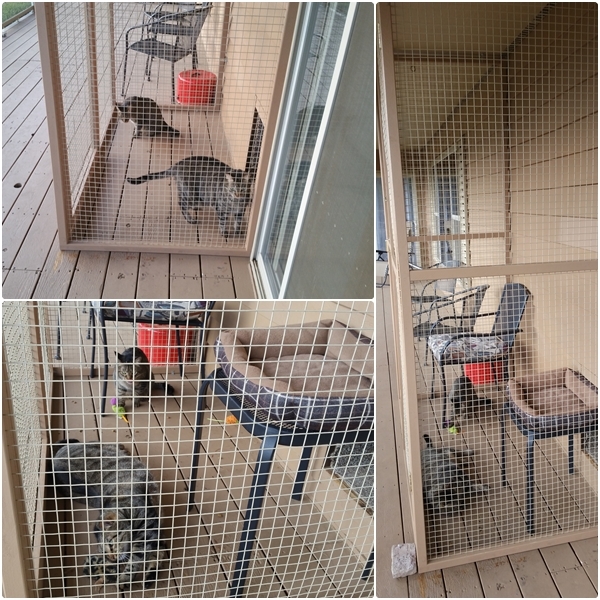 If you’re not familiar with catios, they are essentially outdoor enclosures for cats. There are lots of designs available online if you want to build your own and lots of sources for ready-made designs that you can just buy and install as well. 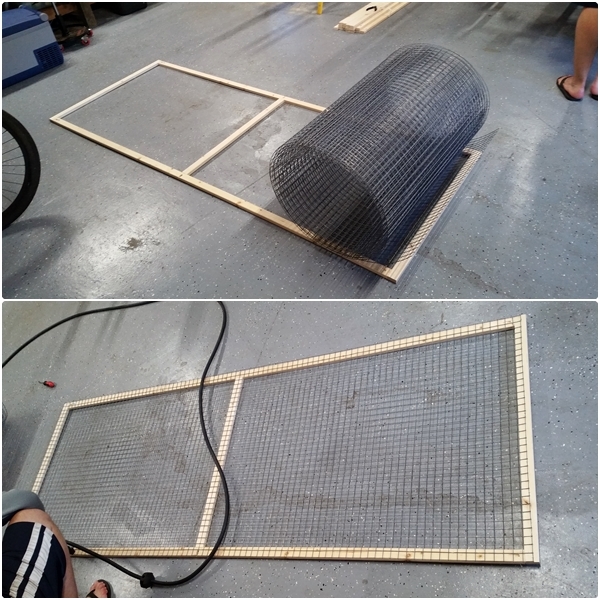 If you are handy with building things yourself, you might even design and build your own which is what we did. Sourcing out the wire was more of a challenge that we anticipated. And it’s not easy to work with. 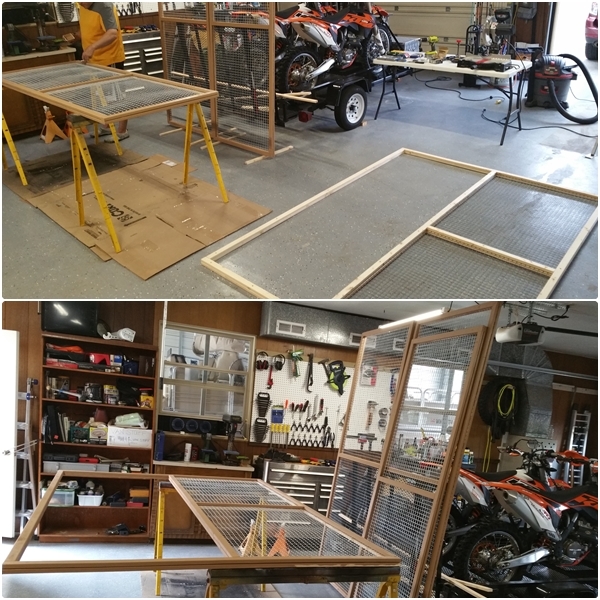 We built two side panels that are 3 foot wide by 8 foot tall and a center panel that is just shy of 6 feet wide. 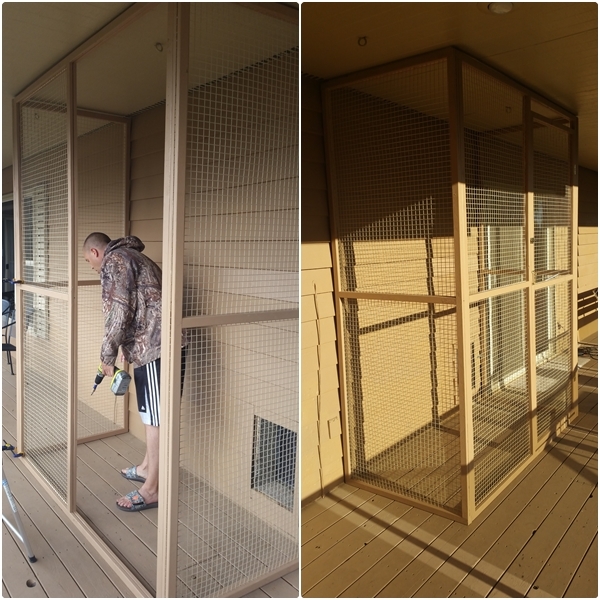 This was the best size to fit our available porch space. 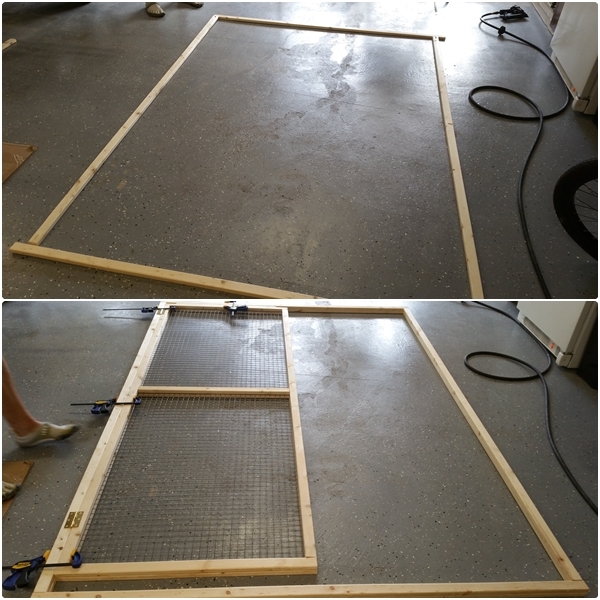 We added a door to the long side to be able to go inside to place cat furniture or build interior platforms for maximizing the vertical space. Painting, painting, and more painting. 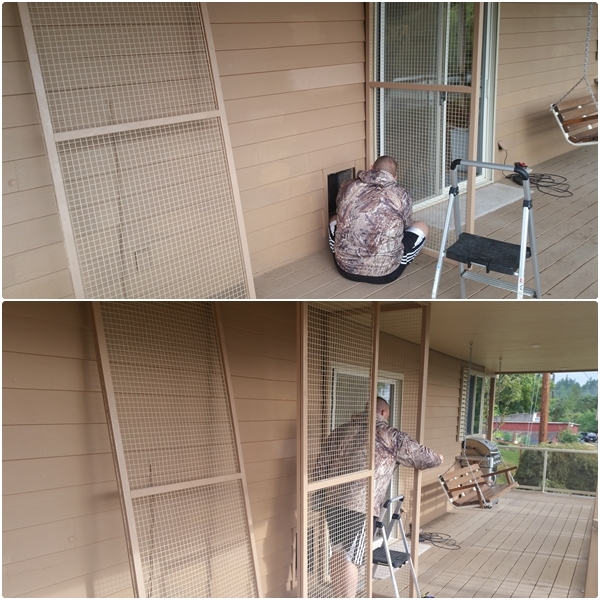 We used the primary and trim colors of the house. I thought was overkill when Don suggested it but he was right. It looks much better than it would have if we hadn’t painted it. It blends nicely with the house. It took us about three weeks to complete and maybe 20 hours total. It’s still a work in progress and needs some finishing touches. We also want to add platforms to give them things to climb up and to have different places to watch the activity outside. 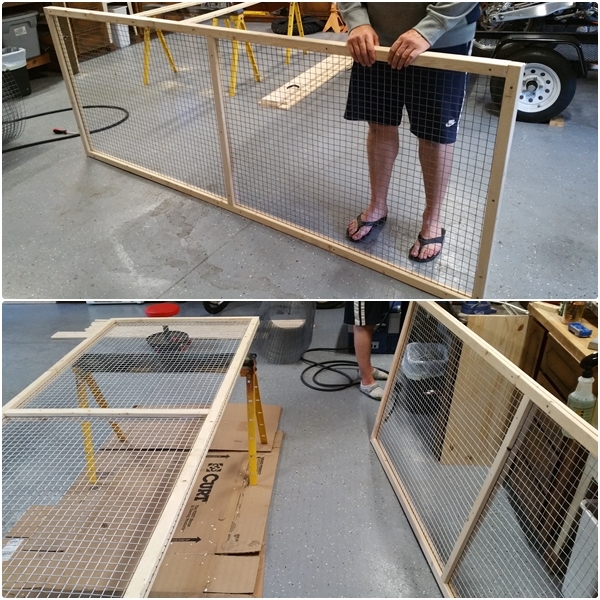 For now we’ve accomplished the basic build and are working on training the boys to use the doggie door. 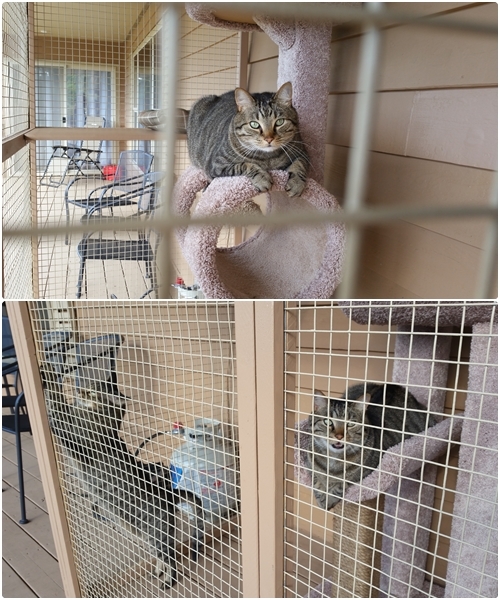 So far they aren’t loving the access door but I know they will figure it out with time. They are able to push through it to come IN if we put them out but they have yet to venture out on their own.